author(s), (Martin, 1978). Martin, E. W. (1978). The theory of care. In A. Ruskin et al. (Eds. ), Hazards of primary care in aging populations (2nd ed.). Philadelphia, PA: J.B. Lippincott. 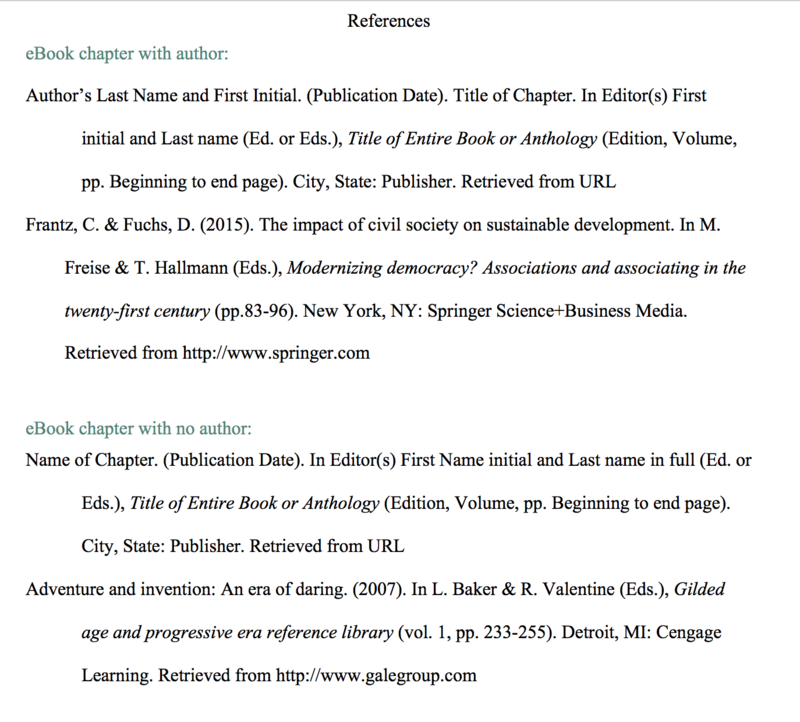 Editors are necessary when citing a chapter from an edited book with individual authors for each chapter, commonly referred to as anthologies.